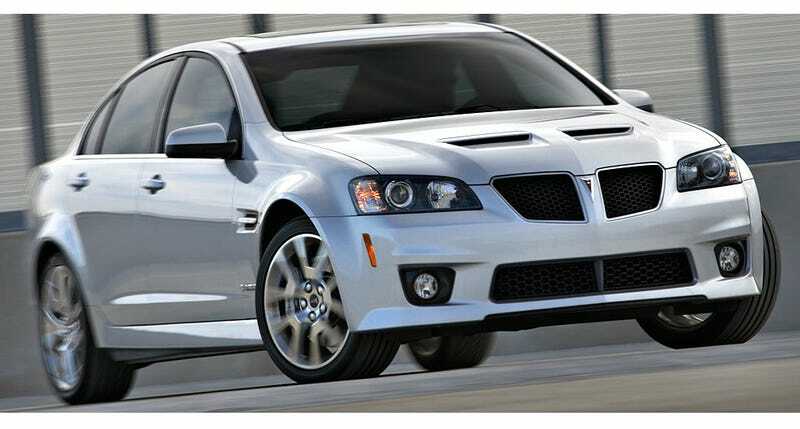 OK, so when we said this was the last Pontiac G8 GXP left on a dealer lot, we may have been mistaken. But it looks like, after a search of AutoTrader inventories, there now really is one last Corvette-engined Pontiac. This very last manual-transmissioned Pontiac G8 GXP is white, and can be found sitting pretty in Sunnyvale, CA at Pearson Buick Pontiac GMC for a sticker price of $46,585. Good luck getting it at that price once the dealer figures out he's got the very last one.